It’s that time! Time to for this Mama to start packing that hospital bag. With the twins, I had a scheduled C-section at 37 weeks due to blood pressure issues. Of course, I could have gone into spontaneous labor before that time, so I had my bag packed just in case. This pregnancy has gone by even faster than the last, so I feel like I should get that bag ready. Plus, with the combination of mom brain and pregnancy brain, if I don’t do it this week, it may never get done. 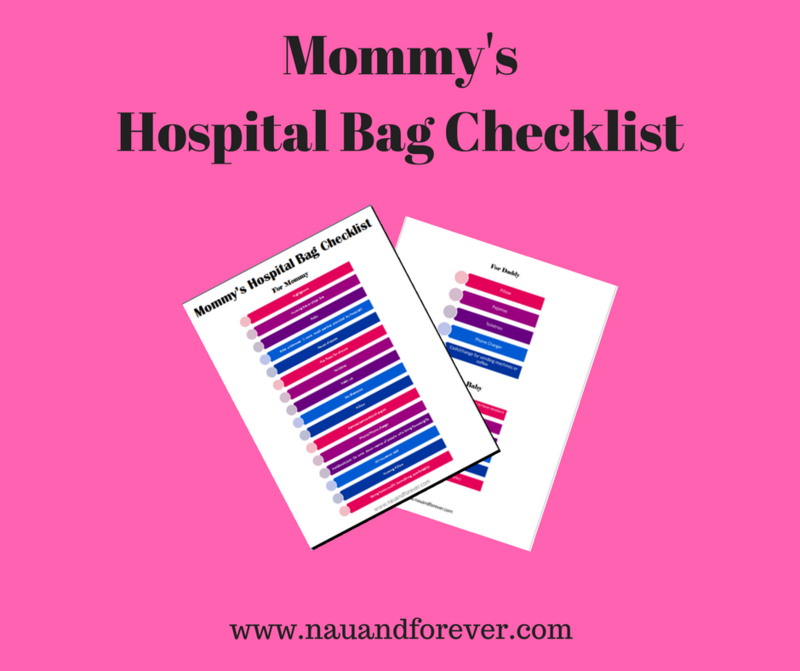 I put together a Hospital bag checklist to share with you of what I will be packing for myself, husband, and baby. Feel free to print off and use for yourself. I will tell you that as far as the baby stuff on my list, the hospital actually provided diapers and swaddles. We didn’t use clothes for the girls because they had jaundice and were wrapped up like glow-worms our entire stay. If you want your baby to have a pacifier, I would pack your own. Most hospitals don’t provide those. When I’m packing for a vacation, I always over pack, but when it comes to the hospital stay, I believe in simplicity. As long as I look semi presentable for pictures, (yes, I pack make up with my toiletries. Hospital lighting isn’t the best) then I am good to go. And don’t forget the dry shampoo! A mom’s best friend for sure! I definitely don’t recommend stressing out too much about the contents of your hospital bag. If you forget something, most likely the hospital has it or hopefully a loved one can run to the nearest Target and pick it up. The hospital stay is so crazy and such a whirlwind. You don’t need a lot. 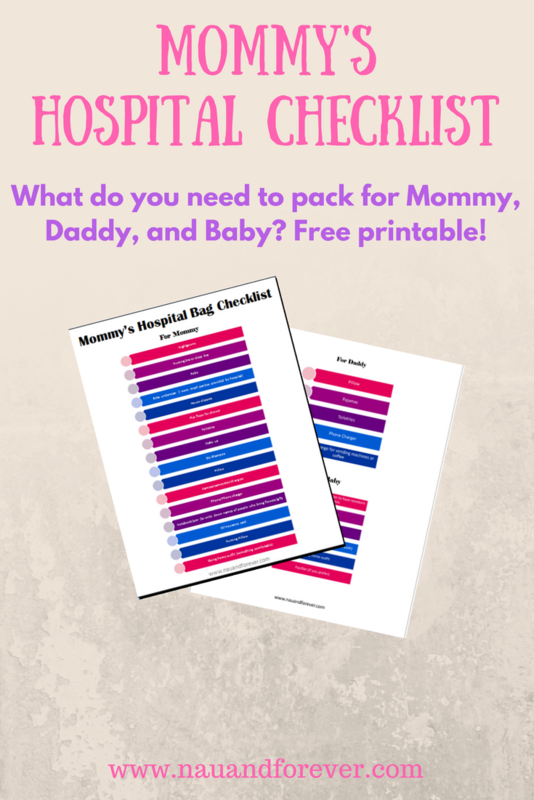 Do you want a super cute printable of my hospital checklist? Click here! Great info! Packing for the hospital is exciting and stressful! !